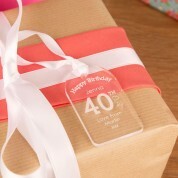 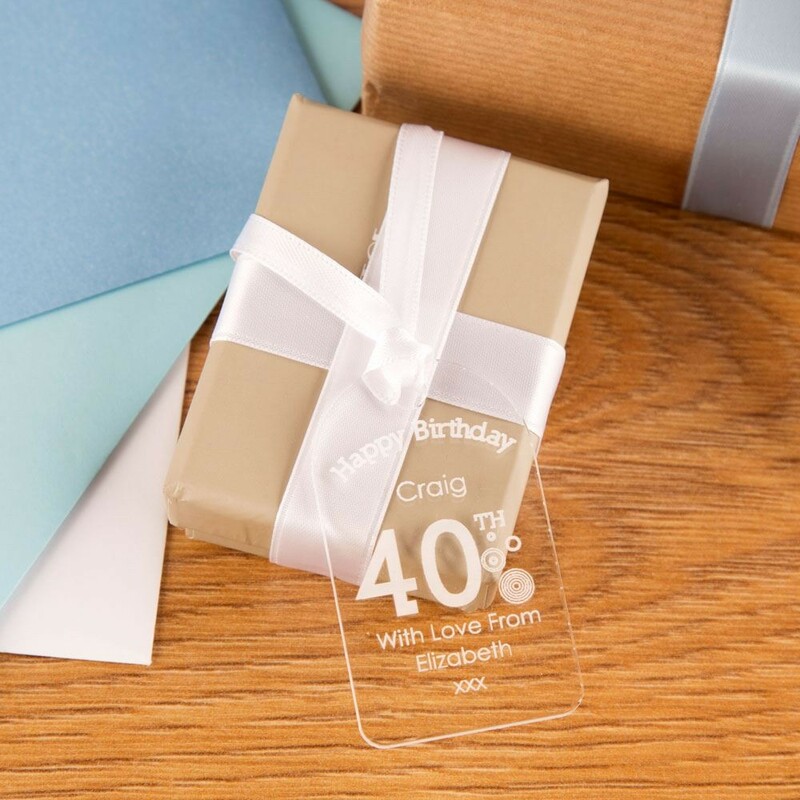 This personalised gift tag makes a stylish finish to a special birthday gift and will put a smile on the recipient's face when they spot it. 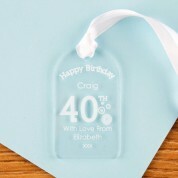 It is a unique idea that doubles up as a keepsake gift too and could even replace a paper card. 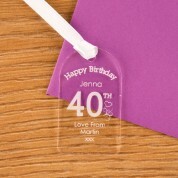 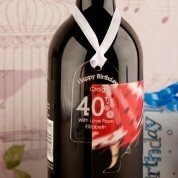 Each tag comes with a loop of white ribbon which is ideal for attaching to a gift or hanging round a bottle neck. 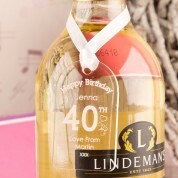 After the present (or bottle) has been opened, it can be hung up in the home on a pin board, window latch or cupboard door handle.